Warner Home Video continued to release Ultimate Editions of its Harry Potter movies in October 2010, with Harry Potter and the Goblet of Fire Ultimate Edition and Harry Potter and the Prisoner of Azkaban Ultimate Edition on DVD and Blu-ray on Oct. 19. 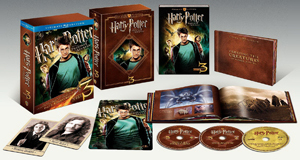 Ultimate Editions of the first two movies in the fantasy series, based on the novels by J.K. Rowling , Harry Potter and the Sorcerer’s Stone and Harry Potter and the Chamber of Secrets, bowed in December 2009. The new Ultimate Editions will debuted a month before the latest movie, Harry Potter and the Deathly Hallows Part I, arrived in theaters. Harry Potter and the Order of the Phoenix and Harry Potter and the Half-Blood Prince were released in Ultimate Editions on DVD and Blu-ray on June 14, 20111. 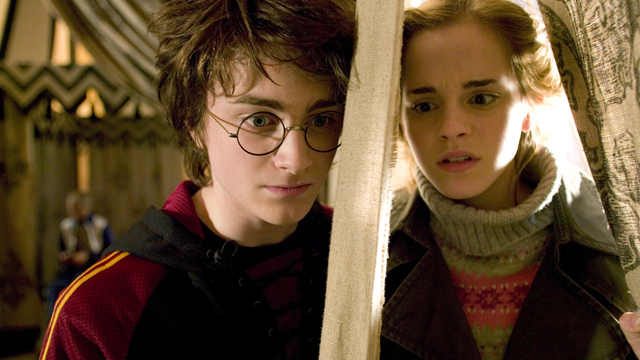 The three-DVD sets of Harry Potter and the Goblet of Fire Ultimate Edition and Harry Potter and the Prisoner of Azkaban Ultimate Edition, starring Daniel Radcliffe and Emma Watson, were priced at $39.92 and the three-disc Blu-ray sets at $49.99. The sets both contain two character cards (Ron Weasley and Mad Eye Moody in Goblet of Fire and Hermione Granger and Sirius Black in Prizoner of Azkaban), a photo book and a lenticular card. Plus, each set includes the same special features as the movies’ originally released discs as well as new ones. Each set also continues the eight-part evolving making-of documentaries that were started on the first two Ultimate Editions. Prisoner of Azkaban has Creating the World of Harry Potter Part 3: Magical Creatures. Goblet of Fire‘s Part 4 explores the films’ Sound and Music. three vintage TV specials: The Magic Touch of Harry Potter, Harry Potter and the Prisoner of Azkaban: Something Wicked This Way Comes and The Making of Harry Potter and the Prisoner of Azkaban. five vintage TV specials: Harry Potter and the Goblet of Fire; Harry Potter and the Goblet of Fire: Behind the Magic; Harry Potter and the Goblet of Fire: Dark Matters, New Masters; Harry Potter and the Goblet of Fire: Some Animal Magic; and Inside Harry Potter and the Goblet of Fire. The Goblet of Fire Blu-ray also includes Warner’s interactive In-Movie Experience, with which viewers can watch cast and filmmaker interviews and more during the film. These are on my way to me from Amazon as we speak!